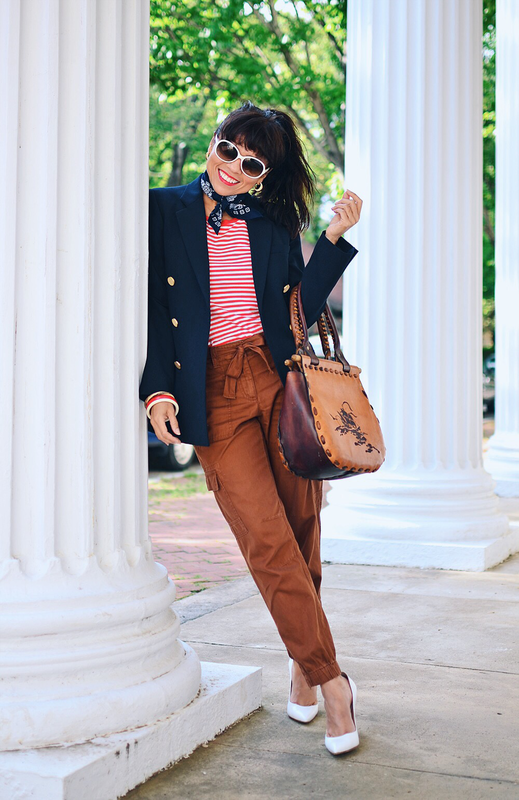 The combo formula for wearing nautical style is simple: navy, white, red and stripes. 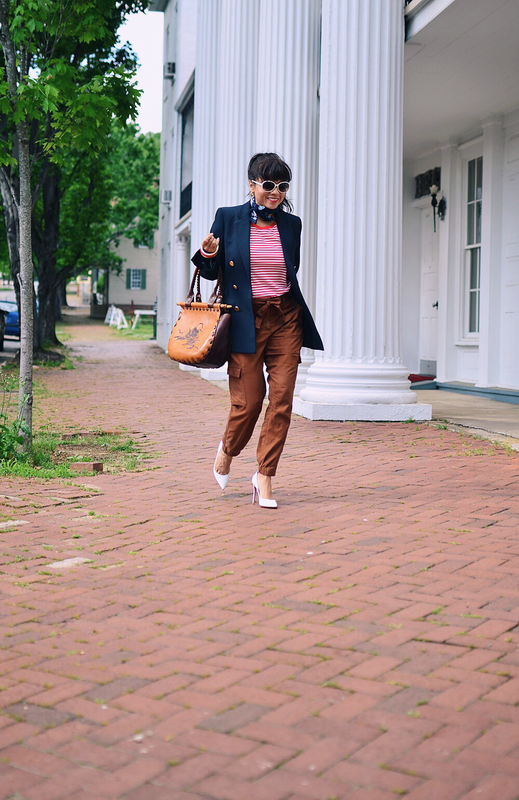 However, I often like to add unexpected hues to my maritime ensembles; for example, today I paired it with rust-hued pants and bag. 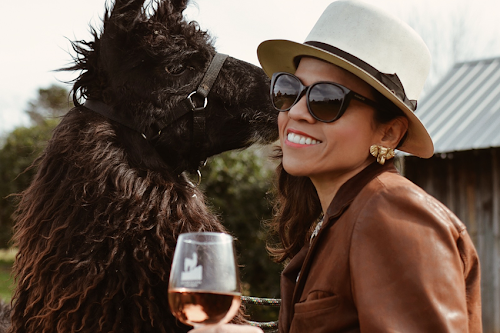 Around this time of the year, you don't see too many people wearing their browns and burgundies and I guess it's because they save those colors for the cooler months of the year. 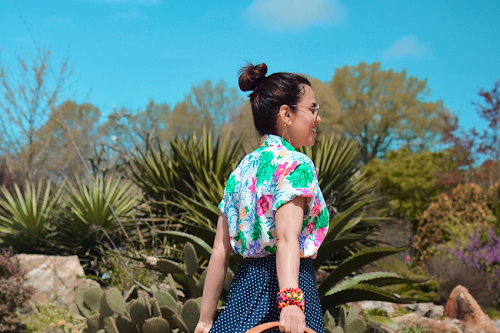 I personally try not to relate colors with seasons, therefore, I enjoy wearing most colors all year round. The only thing that will stop me from wearing a garment of a particular color, in any given season, is the fabric. 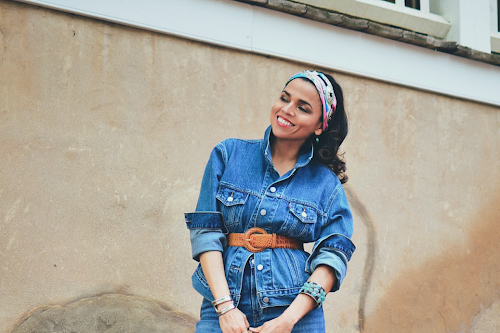 In my opinion, this look is perfect for any chilly Spring or Autumn day. The fabrics aren't heavy but they are substantial enough to keep you warm mainly in later hours of the afternoons. 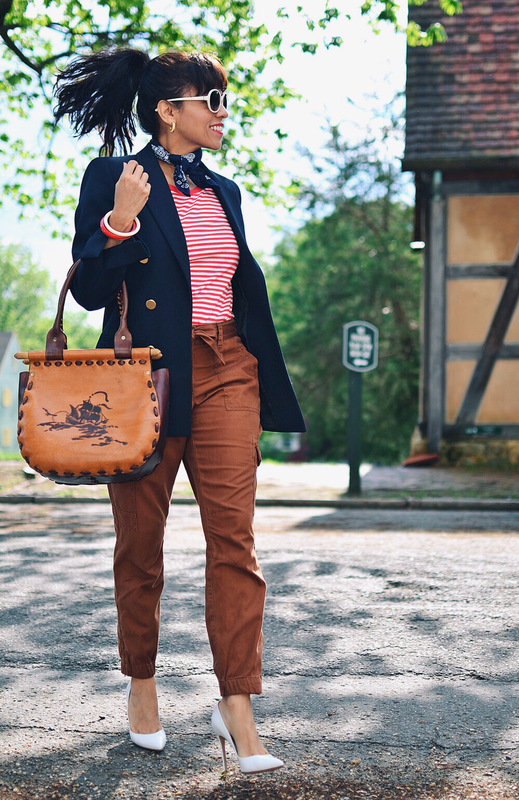 Remember, you don't need to be vacationing at the French Riviera or live near to water to enjoy a nautical look. As a matter of fact, this style will be more appreciated when you wear it in on opposite grounds. 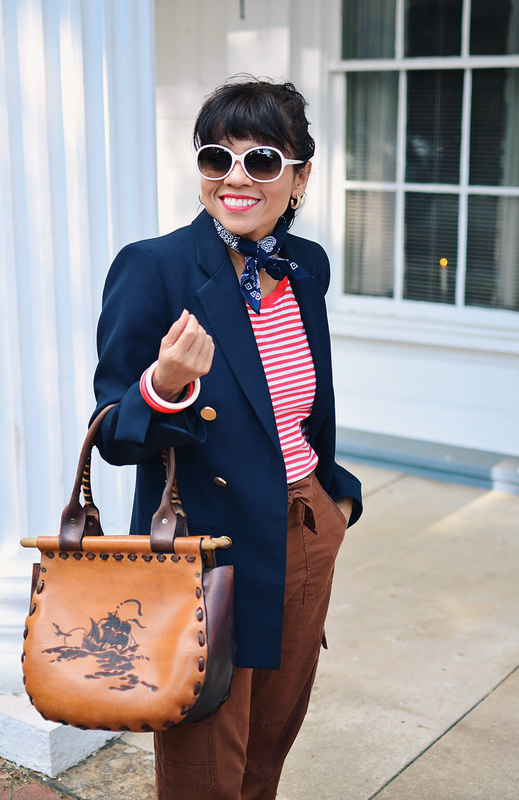 Love the color twist you put into this nautical look. Well done! Thanks, Rena! 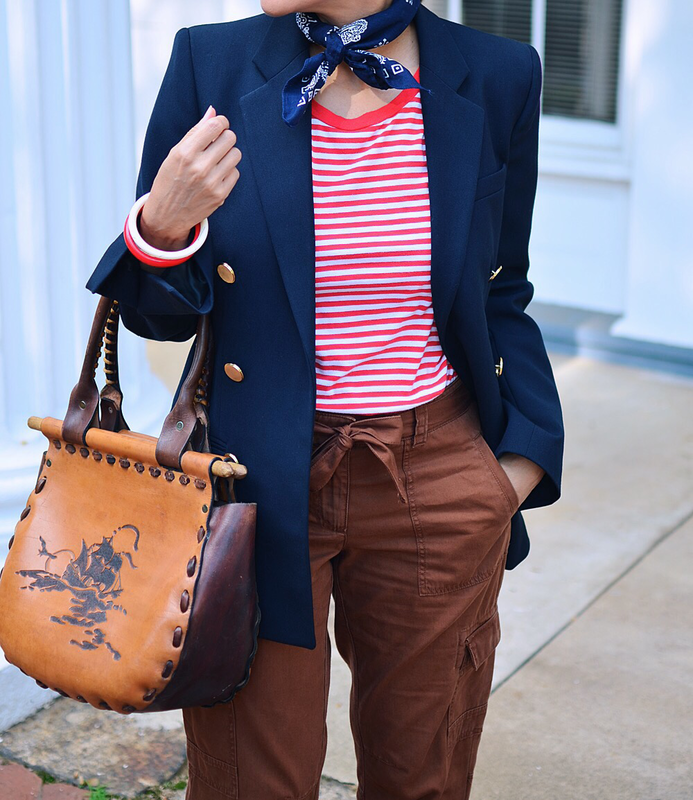 Nautical is one of my favorite styles. 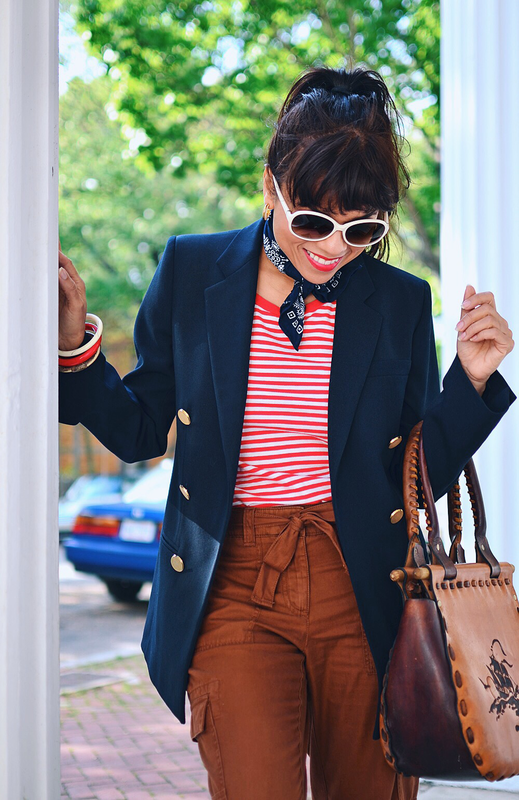 Can't be summer without the nautical trend. I agree, Olivia! In fact, I like nautical all year round!